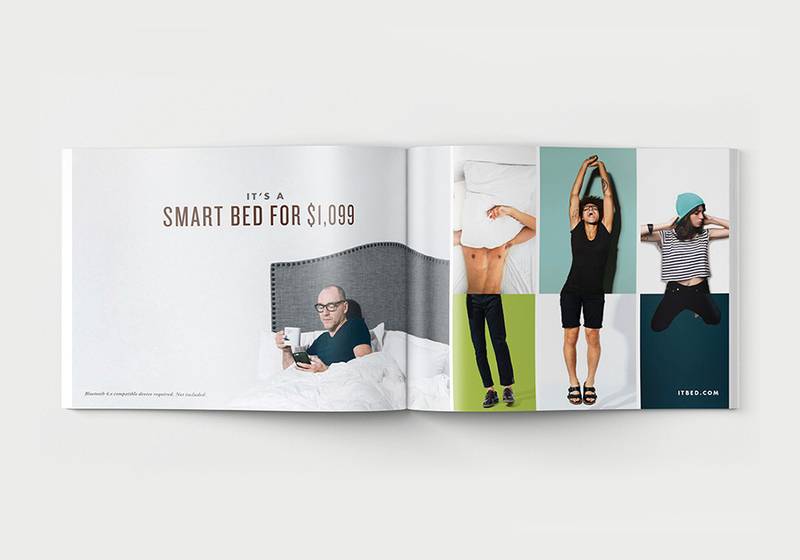 This brochure, meant to inform potential buyers about the features and benefits of Sleep Number's the it™ bed, is used in-store and was stuffed into Create and Cultivate swag bags. 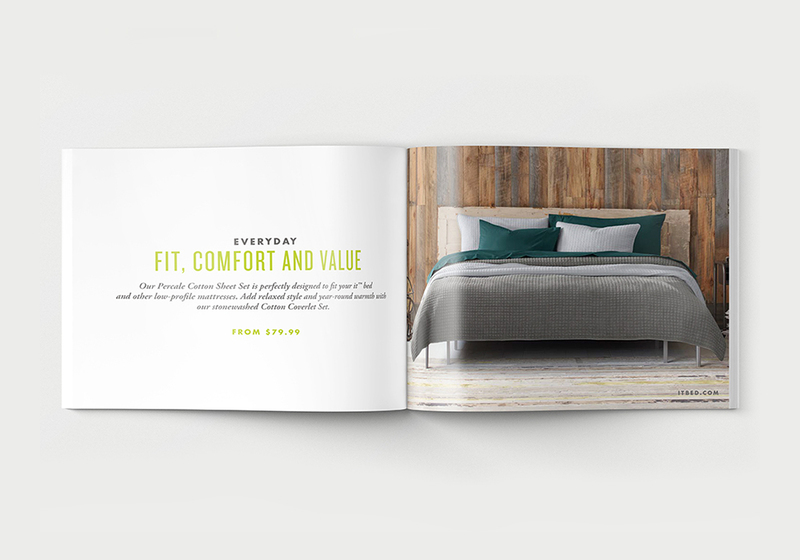 The design picked up the overall look and feel of the bed's branding system. The bright and colorful look captures the spirit of all the quirky, unique personalities that will find comfort on the only adjustable bed-in-a-box. The dual sided adjustability feature is also graphically referenced through the representation of the "split screen" people.